Twinkle, twinkle, little star, how I wonder what you are! 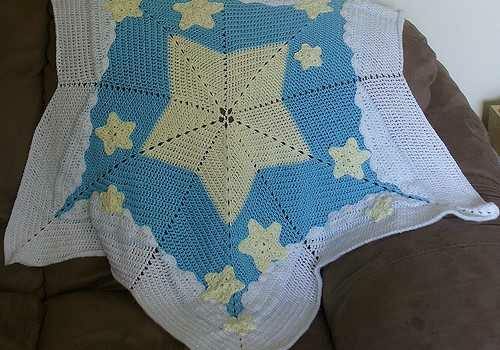 This absolutely adorable star shaped baby blanket is the perfect pattern that goes with this lullaby. Starry, Starry Night by Melissa Mall works up quickly and easily and it’s super cute and fun. Little stars and clouds have never been cuter! 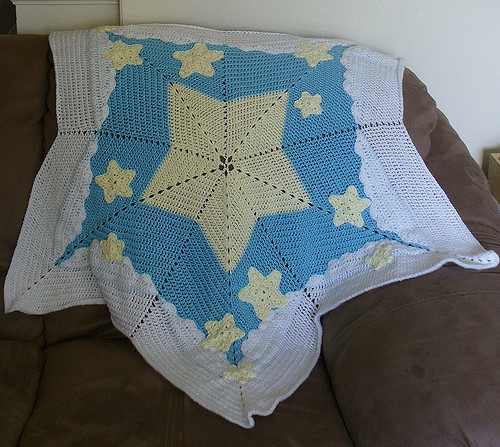 This amazingly beautiful star baby blanket is the perfect little blanket any nursery needs. Thanks to Melissa Mall for the article inspiration and featured image.